This year, Martin Luther King Jr. Day actually falls on his birthday, January 15; the federal holiday is observed on the third Monday of January. 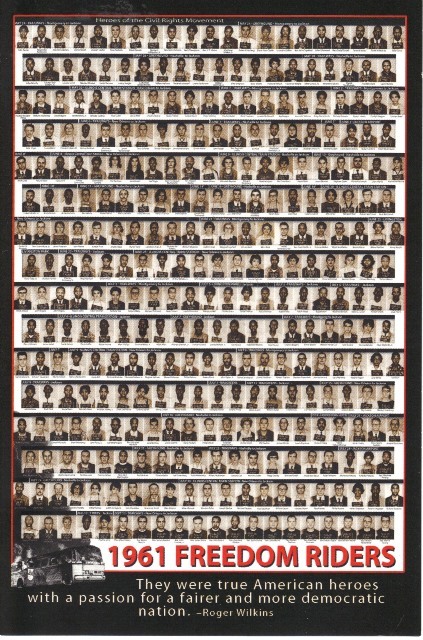 The card captures 328 mug shots of Freedom Riders who answered Rev. 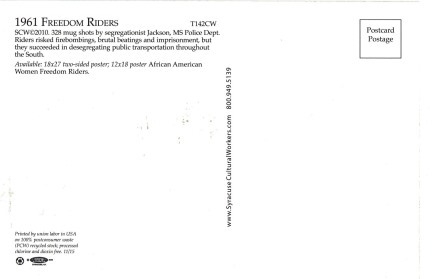 King’s call for non-violent protest to end segregation in public transportation. This entry was posted on January 15, 2018 at 12:01 am and is filed under Holiday's, Perfect Post Cards, SlideShow. You can follow any responses to this entry through the RSS 2.0 feed.